Let’s say that you help gather and manage volunteers for building houses or triaging disasters. You need to promote, track, and manage your volunteer force. And you need to do it using the power and agility of Salesforce. Volunteer management is imperative to having successful, long-term community engagement, and Salesforce out-of-the-box just doesn’t quite cover the all of the bases. What do you need to track? Who are your Volunteers? 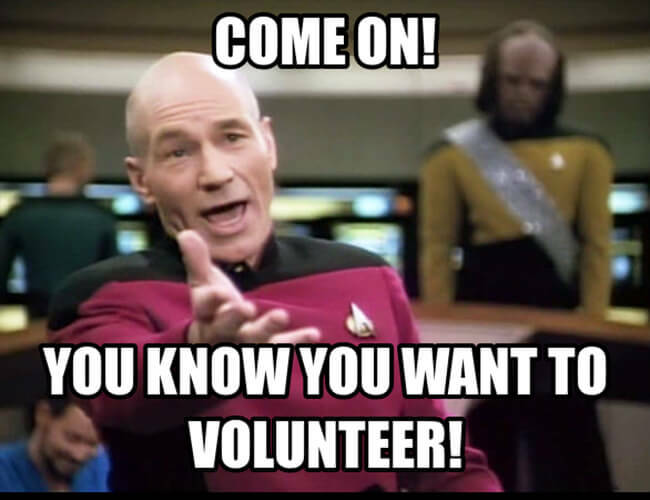 What/where/when are your volunteer opportunities? Can your volunteers manage their own calendar? Is your internal team equipped to hold hands, or is self-service a factor? There are a handful of apps that specialize in volunteer management, three of which stood out for me; HandsOn Connect, Volunteers for Salesforce, and Skillanthropy. They are wildly different, and yet help certain audiences reach their targets. HandsOn Connect (HoC) is the software side of the greater HandsOn Network that houses an extensive volunteer project database. HoC touts fully customizable calendaring with jobs (opportunities) and activities, registration pages with a near-endless amount of search filters, social media integration, and tiered privacy for specific volunteer opportunities and team management. While it utilizes the full function of Salesforce workflows, email templates, and both volunteer and partner portals, what sets HandsOn Connect apart is their granular focus on the details of volunteer opportunities and that integration with their HandsOn Network. It brings the power of the product’s reach into the volunteer-base of your project. Support: Standard: Webinars, online training, knowledgebase. Premium: Fully-staffed Help Desk. Pricing: Annual product fee and one-time deployment fee heavily discounted. For nonprofits, prices can range from $2,500 – $10,500 depending on number of active volunteers. Volunteers for Salesforce was created by David Habib, an MVP turned Foundation employee. Volunteers for Salesforce adds Jobs, Shifts, and Hours objects to your instance, along with customizable site.com calendaring that can be managed by the volunteers themselves. These public sites can show volunteers dashboards of their historical and upcoming activities, as well as detailed searches of jobs, locations, times, and registration. Custom objects can seamlessly be incorporated into the Volunteers for Salesforce functions, which, for more complex processes, makes all the difference in the world. An app is great in what it can do, but is made better by what it can do with what you already have in place. While Volunteers for Salesforce is not the fanciest solution for volunteer management within Salesforce, it has the unique distinction (at least among these three choices) of having its code available on GitHub. This means that anyone can use the code to make their own instance better, sleeker, sexier, and still able to remind each volunteer of their upcoming shifts and thank them for their hard work. Skillanthropy Technology Solution is made by Bankers Without Borders. Its custom-site portal interface empowers the volunteers to maintain profiles, resumes, and social links independently. Skillanthropy has quite a bit of functionality around matching the right project with the right volunteer, and has an application process, surveys, extensive project details (deliverables, prerequisites, goals, etc.) and notification workflows in place to support just the right fit. Big name application integrations give this product an advantage in functionality, but are not automatically included (Box.com, Smartsheets, EchoSign, Braincharts). Depending on how you want to interact with your volunteer-base, the complexity of your project schedules, and the size of your audience, your right choice may stand out among these three apps. Whether it’s wrangling, wrestling, managing, or herding your volunteer teams, there is much to consider in making your team effective in Salesforce. When in doubt, bring in a fresh set of eyes to guide you through your implementation; the best part about having your own consultant is that they have your mission in mind.